Digital Depth Gauge Assembly. Accurately measures paddle or basket height in the vessel. Works with all Distek baths, Hanson (Vision requires adapter) and Vankel except V-series. Contact us if you have a different bath. 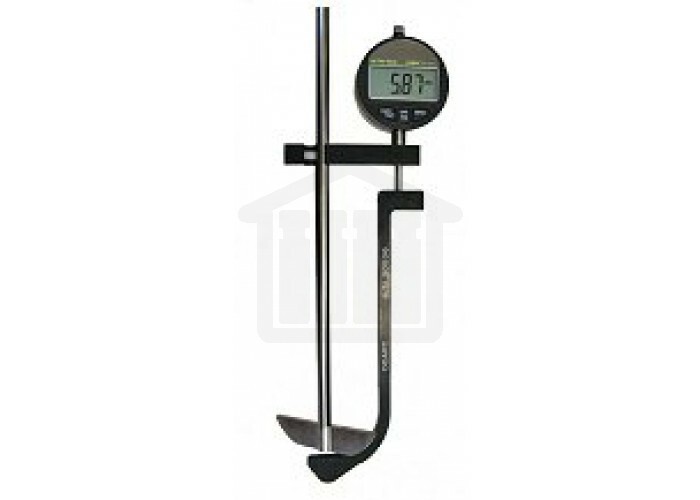 Measure exact height of paddle or basket with easy to read digital display. The digital electronic readings measure from the bottom of the paddle or basket to the bottom of the dissolution vessel via a probe specifically designed to fit the contour of the vessel. This allows paddle or basket placement to be determined within 0.01mm. The DDAPT digital depth gauge is made to fit most popular dissolution machines including the Hanson Classic 6, Elite 8 & Vision K, and all Varian/VanKel (except V series) and Distek Dissolution Machines using apparatus 1 & 2 systems, meaning consistent and precise accuracy can be recorded in all dissolution vessels within your laboratory. 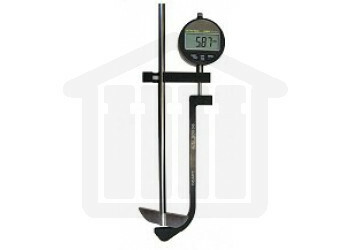 The DDAPT Digital Depth Gauge System comes complete with carrying case, Digital Depth Gauge and two digital depth adapter arms (Used for different dissolution bath manufacturers).